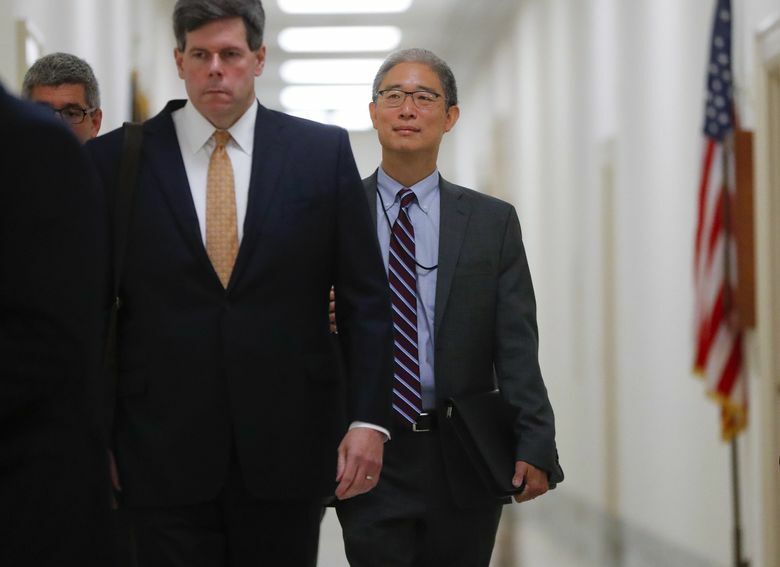 Two GOP-led House committees will interview Bruce Ohr behind closed doors Tuesday, as part of an investigation into decisions made by the Justice Department in 2016. Here's why. WASHINGTON — Bruce Ohr was a relatively anonymous lawyer at the Justice Department for more than 25 years. But he’s now caught up in a Republican maelstrom of criticism toward the department, with some of President Donald Trump’s allies implying that he helped conspire against Trump’s election. 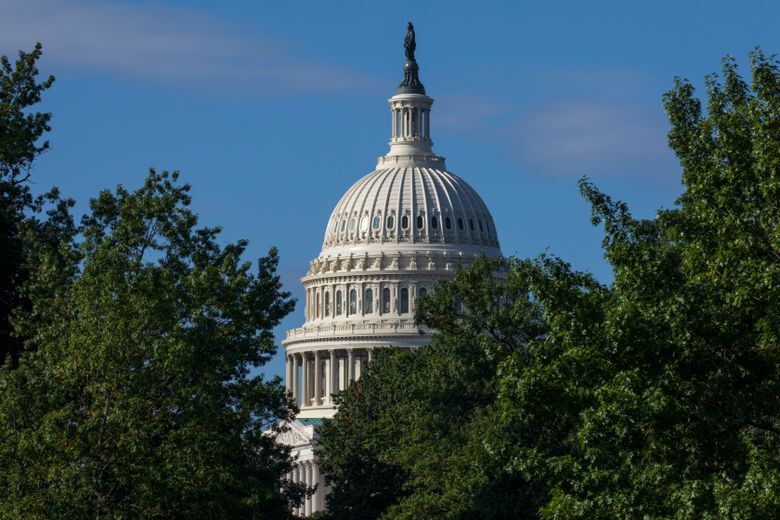 Two GOP-led House committees will interview Ohr behind closed doors Tuesday as part of an investigation into decisions made by the department in 2016. They are interested in Ohr — he has also been the subject of Trump’s angry tweets — because of his relationship with Christopher Steele, the former British spy whose opposition research on Trump’s Russia ties was compiled into a dossier and turned over to the FBI. A Harvard-educated lawyer who was a federal prosecutor in Manhattan in the 1990s, Ohr later oversaw the Justice Department’s organized crime and racketeering section and, at the time of the presidential election, was a high-ranking official in the deputy attorney general’s office with oversight of a program that doles out grants to federal prosecutors for complex drug trafficking cases. Colleagues and associates describe Ohr as a mild-mannered, affable, steady presence in a department where turnover and transition are common. It’s Ohr’s relationship with Steele that has given fodder to Republican critics in Congress and raised concerns that he was operating outside his job description. Though Ohr did not handle national-security or counterintelligence work in the deputy attorney general’s office, he nonetheless became a point of contact for Steele to share information with in the months leading up to the 2016 presidential election as the ex-spy dug into potential ties between the Trump campaign and Russia. The two were in touch throughout that time period and Ohr passed along tidbits he learned to the FBI, which was conducting its own investigation. “We were, frankly, you know, very scared for the country and for ourselves and felt that if we could give it to someone else, we should, higher up,” said Glenn Simpson, who helped start the firm. “And so Chris suggested I give some information to Bruce, give him the background to all this. And we eventually met at a coffee shop, and I told him the story,” he added. Aside from their own personal connection, Ohr’s wife, Nellie, was working at Fusion GPS — a connection Trump and his allies have seized on as they allege anti-Trump bias in the department. Peter Strzok, the recently fired FBI agent who led the Russia investigation, told Congress last month that Ohr provided the FBI with “material that I believe originated from Mr. Steele,” though he said Ohr was not the original source of information on the dossier. Strzok said he met with Ohr as many as five times in late 2016 and early 2017. The dossier also was not the linchpin of the FBI’s investigation into potential coordination between Russia and the Trump campaign. That investigation had begun months before the bureau received those files in September 2016, and was triggered by information about George Papadopoulos, a Trump campaign aide who told a professor that the Russians possessed “dirt” on Clinton in the form of emails. “So Nellie Ohr works for Fusion, works for Glenn Simpson and she’s giving documents,” Jordan said. Democrats have criticized the Republican’s focus on Ohr as overblown and misleading. “Bruce Ohr took the initiative to inform the FBI of what he knew, and the majority does him a grave disservice by suggesting he is part of some malign conspiracy,” wrote Democrats on the House intelligence committee in a declassified memo earlier this year. Ohr remains with the Justice Department, but amid the GOP criticism and a change in leadership, he was reassigned from his job in the deputy attorney general’s position and given new responsibilities. But there are no signs of any effort or desire by department leadership to punish him in the ways advocated by the president. “Will Bruce Ohr, whose family received big money for helping to create the phony, dirty and discredited Dossier, ever be fired from the Jeff Sessions “Justice” Department? A total joke!” Trump tweeted Aug. 20. Trump has also suggested revoking Ohr’s security clearance, along with others in the department who were related to the Russia investigation.